Chondrocalcinosis is the medical condition of calcification of either hyaline articular cartilage or fibrocartilage. 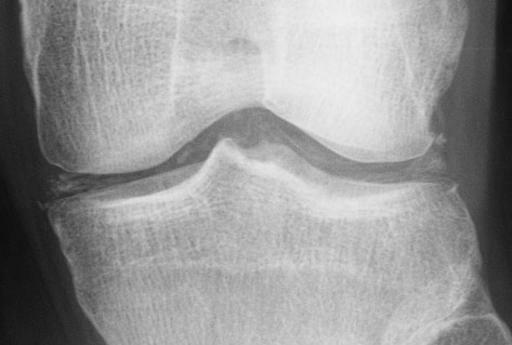 This is usually due to a collection of calcium pyrophosphate dihydrate cyrstals, and usually is seen radiographically as a manifestation of calcium pyrophosphate dihydrate deposition disease (CPPD). Other entities associated with chondrocalcinosis include hemochromatosis and hyperparathyroidism.